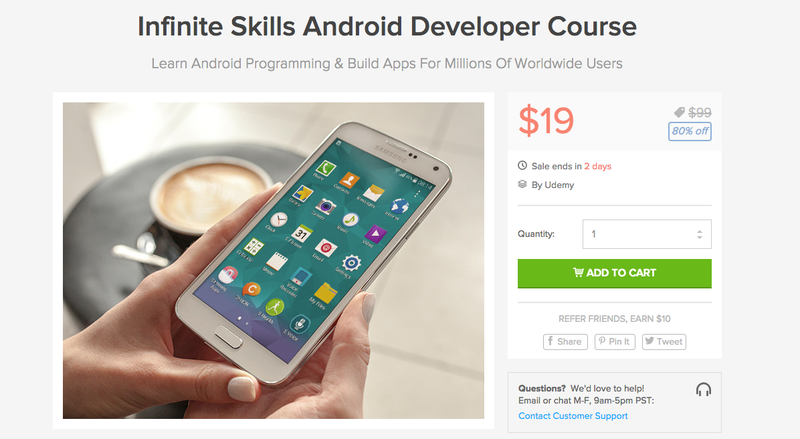 For the next couple of days on the DL Deals Store, you can grab the Infinite Skills Android Developer Course, listed at $99 regularly, for only $19. With the Infinite Skills course, you gain access to over 105 lectures and 9.5 hours of content, allowing you to become the Android app building wizard you always knew you were. Inside, you will learn about media playback, device camera access, sensors on the device, and much more. According to the listing, no existing programming knowledge is required, and for those who complete the course, a certificate of completion awaits you at the finish line. If this package interests you, hit up the deal link below.